Financial technology (fintech) is already making waves, and finance is one of the most digitized industries today — 2015 global fintech investing was over $19 billion, and it has again hit record highs in 2016. In 2017 we will see a lot more financial services apps and tools on the market, but we’ll also see companies find ways to monetize them and get more of a return on their substantial investments. 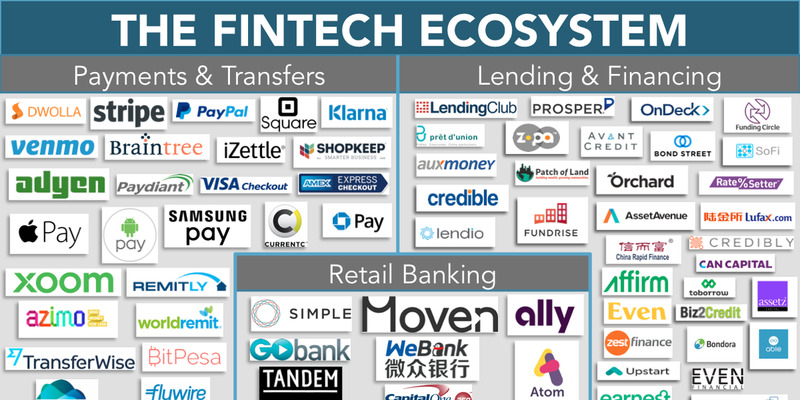 We’ll also see a number of other players outside of financial services get involved in fintech, especially tech firms in Silicon Valley and elsewhere. The digitization of fintech will continue to replace functions that consumers previously needed to visit an agency or branch to accomplish. 2017 will see an early emergence of leaders in this space as we seek to find better ways to assimilate and display data from multiple sources to show a unified overview of the customer’s money and accounts. With the proliferation of online portals, dynamic reporting and real-time capabilities, we expect to see these advancements hit fintech soon. One space that we haven’t seen a lot of mainstream activity yet is personal finance for everyday consumers. This is a market that financial services companies will look to jumpstart with technology that addresses personal investments, money management and visibility of all of a customer’s finances and accounts. The IoT is already making a major footprint in health care, and in 2017 we will see more monetization as this technology moves from hospitals and physicians’ offices into patients’ homes. IoT devices will be used to check in on patients from their homes — we’ll see options to collect patient vitals, and maybe even swallow-able sensors that will help patients manage their health without the need to visit their doctor. Data collected from the IoT can be used to determine if a prescription adjustment is needed, or whether or not an issue requires face-to-face medical care in a facility. In the hospital, we’ll see the devices that are currently in use get smarter and more capable. Health care will certainly be one of the first industries to figure out how to integrate the IoT on a large scale, especially when it comes to patient records. The shift to digital EMR systems today will come to fruition in 2017 when utilities will be developed that can collect all patient data, filter and organize it, and deliver it in a standard format throughout the health care industry. This is yet another area where the early leaders will prosper. We’ve discussed blockchain before, and it will continue to be a game-changer in 2017. While its original usage was for currency and finance, the technology will spread and enter new industries. For example, the National Association of Realtors has already begun to explore how blockchain can be used to streamline mortgages, titles, deeds and more. We also expect to see government agencies exploring how to use blockchain to manage their records and ledgers. However, blockchain still is not very scalable, and it’s still probably three to four years away from being fully integrated with financial services, the most heavily digitized industry. Change will come slowly, but look for some big advancements in the next year. We’ve been talking about AI for a while, but the reality is that it’s still in its infancy. The major investment required means that small and medium businesses have not yet explored its applications, as they wait for the larger companies to pave the way. However, that might change as large corporations like IBM and Microsoft start to open their tools to more people to explore more use cases. Lots of research and development investment will go into this field, and companies will look for more ways to apply machine learning to get a return on investment. However, one consumer-focused area in which AI will continue to grow is personal assistants such as Google Home, Amazon Echo, or x.ai, a new business-focused AI assistant that schedules meetings based on availability and the personal preferences that it learns from users. From more of a corporate perspective, there are tons of cool new start-ups, some right here in Detroit. Think about AI with data analytics to proactively recommend vehicle maintenance. Based on real-time vehicle sensors and other factors, vehicles will someday recommend service, such as when the vehicle’s fuel pump will fail in the next six to nine days. That is what one start-up, Pitstop is working on today. There are numerous examples in this area for health care, law, financial services, etc. Be prepared to hear a lot more about AI in 2017. Another growing application of the IoT is the smart home. Today we’re aware of all the possibilities out there (smart appliances, personal assistants like Amazon Echo and Google Home, and newer tools like Nest and Ring), but there is no good way to unite them all in a single system. It’s almost like the Wild West, with rogue technology and applications everywhere. The demand for a single system and interface is coming, and there will be major opportunities for the first company to integrate all of these tools with a user-friendly dashboard and streamlined reporting. The existing smart home tools will also get better at what they do in 2017. Another big opportunity for an IT firm or startup is the development of an algorithm to determine what a house should be like and how it should function. We’ll see the standardization of home-based KPIs, cost-saving features, security and more. The technology budget is one of the most important portions of any business’s strategy today, and in 2017 they will continue to grow. We’ll see lots of investment in the geographic areas where tech is leveraged most heavily. But tech budgets will also rise because technology is becoming more and more widespread throughout all the departments and processes within a business. That being said, around midyear we’ll likely see some of the budget growth level off, partly because people will wonder what automation and other tech advancements will mean for the economy as a whole. However, spending will remain high. Many businesses (especially small businesses) are waiting to see what happens before they increase their investments and surge forward in their use of tech. Finally, while we won’t all be riding in fully autonomous flying cars in 2017, we will definitely see this technology grow and advance. Lots of testing and pilot programs will continue like we’ve seen in Europe, Asia, and the U.S. (Anheuser-Busch just completed a driverless beer delivery in Colorado last month!) Early feedback on these initiatives and programs will determine the direction this technology moves in 2018 and 2019. In the U.S., states will determine how they want to regulate these vehicles and refine their policies accordingly. It remains to be seen how these major decisions will slow down or clear the path for further development. Of course, one of the biggest innovators in the automobile industry, Tesla, will also continue to shake things up. The Model 3 will be released next year featuring automated hardware, and with it will come even more demand. States that have been holding out on allowing direct OEM-to-consumer sales of cars will finally be forced to concede, and more automakers will attempt to imitate this model if it gains popularity. Lots of change ahead — and not just in 2017. Make sure you are ready to adapt and move fast, as speed will be one of the biggest factors in business success for the coming decades.